A UK police poster campaign asking parents not to use the police to scare children into behaving well has sparked a debate on social media, with some commentators calling it ‘offensive’ and ‘misleading’. Durham Constabulary launched the poster last Friday. It has already been viewed 3.5 million times on Facebook. 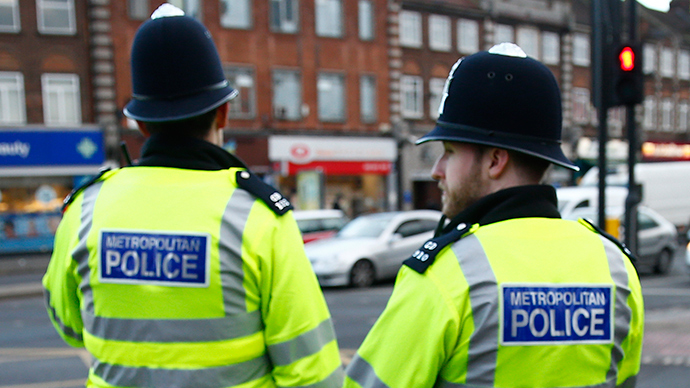 The police force want parents to encourage their children to turn to the police if they need help, rather than using the threat of cops or prison as a way to scare kids into good behavior. The poster has been ‘liked’ more than 40,000 times and has received 62,540 shares. Public opinion on Facebook was divided, with many criticizing the poster for being misleading. Brett Bowedrey was similarly disenchanted by the campaign, commentating that police should stop telling children off for cycling on the pavement. Not every copper is smiling and friendly, he added. One user, Collette Elvins, didn’t criticize the poster directly but instead attacked the budget cuts police have faced under the government’s austerity policies. A Parliamentary report published last October found that a “significant” proportion of children have a profound lack of trust in the police. The report found that arrests of under-18s had fallen by 59 percent over a period of five years, with 129,274 in England and Wales in 2013. MPs based their findings on a 2010 survey of 3,500 children by Sussex police, which found younger children who had less contact with the police viewed them more positively than older children who had had more contact.